I realized something. 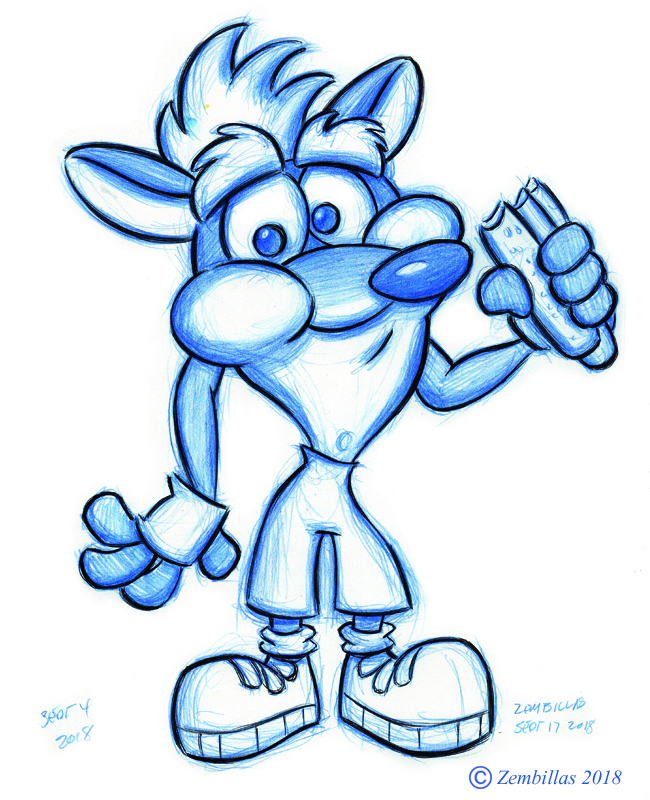 That I've never drawn Crash Bandicoot eating. Oh my God, this is the cutest Crash Bandicoot you've ever drawn! I love him! Thank you Gabriele! A new cuteness standard has been set! Let's see what's next. Didn't know Crash liked hot dogs. I always thought he was more of a fruit guy. Haris A. Devine... Maybe he's getting into a carnivore diet. Thank you Cy Cortex glad you like it.